Had body work that needed done. Mike and his team went out of the way to explain how to work with insurance company, and they completed the work in the timeframe promised and at the price promised. They even cleaned out the inside of the car, windshield, etc. as part of the service. Very Happy. 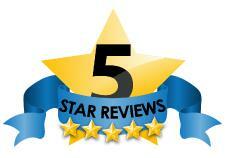 Michael - Jun 2, 2013 Very Smooth Used Car Dealership Fast service when Purchasing their car!